Has Your Hail Damage Claim Been Denied, Delayed or Underpaid? Homeowners may not immediately notice the damages caused by hail causes to their roofs; it’s difficult to see. Because it dislodges roofing granules from shingles, hail reduces the useful life of roof shingles. 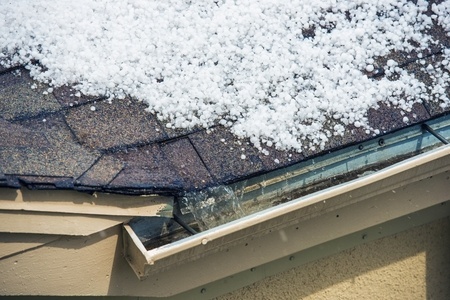 After a hailstorm, homeowners may need a full roof replacement. While some insurance companies refuse to pay at all on claims, others simply undervalue them, offering ridiculous excuses in order to support their conclusions. For example, your insurance company may claim that your damages are not covered by your policy, that you waited too long to report your claim, or even that your damage was pre-existing and not caused by a hail storm at all. It is very important to protect your rights as a policyholder and understand the hail damage claim process. If there are any discrepancies between you and your insurer, then it may be time to consult with an experienced and highly skilled insurance lawyer. The Law Offices of Bell & White are designed to respond quickly and accurately, while maintaining maximum flexibility for changing circumstances. We offer free consultations, and a staff fluent in English and Spanish as part of our commitment to the timely, cost-effective achievement of your goals.